A flat roof replacement is usually the last attempt in saving a roofing structure. It takes a lot of damage overall to get there, but the initial cause of damage is most likely very miniscule. When the issue is unnoticeable, more damage is bound to come and it always does. The roofs that we service at Eric B. Mast Enterprises are the results of failure to spot and address roofing issues promptly or shoddy roof repairs. If your commercial roof is in need of immediate repair services, call the experts at Eric Mast Enterprises and we’ll assist you. 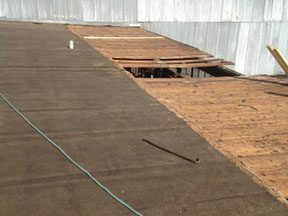 Not all commercial flat roofs require a complete roof replacement and another solution could be viable for your project. We will have one of our specialists visit your facility and evaluate your roof to see if it requires a flat roof replacement. 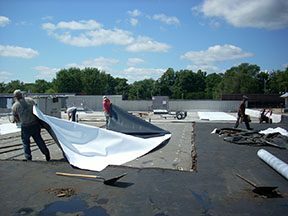 If so, we will provide an on-site estimate and begin formulating a customized solution for your flat roof’s unique situation. Contact the professionals at Eric B. Mast Enterprises today at (804) 357-8038. Ponding water: Alterations on your flat roof from natural wear could create areas where water can pond. If taken care of in a prompt manner, you can save yourself a lot of stress and headaches. If not, the water can cause major deterioration on your roof, which could end in leaks or a complete roof failure. Cracks and blisters: Excessive sun exposure is obvious for any commercial roof. With proper care, your flat roof can receive the correct treatment to prevent cracks and blistering. If ignored, these cracks and blisters can weaken your structure overall and decrease your flat roof’s energy efficiency. Punctures or tears: Whether it’s from storm damage or fallen debris, punctures and tears start off as a small issue but can develop into expensive repairs. They act as gateways for other debris and water to enter the facility and spread damage throughout the structure. Negligence would escalate the situation to require a complete roof replacement. If it comes down to your commercial flat roof requiring a roof replacement, we will only deliver your project using the most premium materials possible. All of our solutions are customized to fit your flat roof’s unique specifications. Call us today at (804) 357-8038 and we’ll schedule an appointment at a time convenient for you to have your flat roof professionally inspected. If your flat roof is suitable for a complete flat roof replacement, we will put together an on-site estimate for your commercial facility. 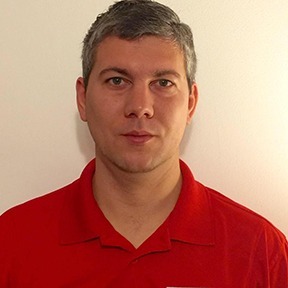 Eric B. Mast Enterprises looks forward to potentially working with you.